The Importance Of Intensity When Weight Training. Firstly, lets just say this isn’t reinventing the wheel. Intensity has always been a tool utilised by those willing to push themselves out of their comfort zone. Intensity itself can be varied many ways, less rest, more weight, more sets, more reps, slower tempo and so on. However, all these methods produce very different results and its sometimes easy to get lost in the information circulating gym floors and internet forums. So we are off to a great start to the new year, right? 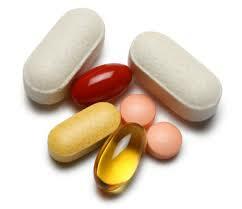 We have our exercise routine going, eating right, wearing our fitness gadgets, and ready to take that new multi vitamin, until we look at the other ingredients. That happened to me. I just had to look, and low and behold, I thought I would check out what these things were on the internet. Here is what I found. Cellulose Gel – is usually made from nontoxic wood pulp or cotton. It is used to thicken a product without adding any calories or fat. It is fibrous, which is why it appears in so many high-fiber “healthy” snacks. Matodextrin – is an artificial sugar made from corn starch. Could cause an allergic reaction. Hydroxypropyl Methylcellulose – food additive for thickening and emulsifying liquids. Real ACV is made by fermenting pressed apple juice until the natural sugar turns into vinegar. The ACV you should use is the raw, organic, unfiltered, and unpasteurized kind of ACV. Not the refined kind. Only the good quality kind of ACV contains the “mother” of vinegar, which is the cloudy stuff that sinks to the bottom of the bottle. This substance contains the beneficial enzymes, bacteria, pectin and trace minerals that makes ACV so good for you. 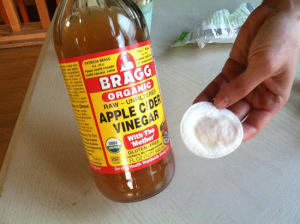 Just remember to shake the bottle each time before using ACV to distribute the elements. You can even easily make your own natural ACV.